Black Friday is the day after Thanksgiving, and it has become one of the busiest shopping days of the year in the United States. Huge crowds of people rush to grab the biggest and best deals, often leaving their manners at the door as they barge through. The pressure to buy discounted products before the holidays causes shoppers to act irrationally—to the point where people end up getting killed. But it is not just the shopping that might kill you. To make it through Black Friday, you need to be prepared for not only angry shoppers, but deadly shootouts, horrific road rage, and revengeful ex-employees. Even being a good samaritan can get you killed on Black Friday. It was four in the afternoon on Black Friday 2016. Thirty-nine-year-old Isidro Zarate was sitting in his car while his wife Lisa was inside a Walmart in San Antonio, Texas. They were going to skip Black Friday shopping until Lisa’s mother suggested that they all go to see San Antonio’s annual Holiday Lights on The Riverwalk, which was beginning that night. Lisa wanted to buy a new outfit, so she was looking for clothing inside of the Walmart. Before Zarate could get out of the car to break up the scene, Juarez pulled out a gun and pulled the trigger. He was shot in the neck. Two women were injured by the shards of flying glass as Juarez shot at the car multiple times before he sped off in his own car. Thankfully, police apprehended him, and he was arrested. By the time Lisa was done shopping, she walked outside to see the police and a crime scene around her husband’s car. To make matters even worse, Isidro Zarate did not have life insurance, so his wife and four children were hit with the unexpected loss. His family created a GoFundMe page, and they have been able to raise nearly $50,000 at the time this article was written. The Nintendo Wii was the most in-demand gift on Black Friday of 2008, and eager shoppers were lined up in the cold by 3:30 a.m. at the Walmart in Valley Stream, New York. The store opened at 5:00 a.m., but there were no police or security officers there to keep the massive crowds under control. Over 2,000 people wanted to get inside to shop, and by 4:55 a.m., they had grown impatient and wanted the store to open. A crowd was punching and pushing their shoulders against the glass doors, trying to get in. Walmart employees were on the other side of the door, trying to prevent the shoppers from entering the building too early. The crowd broke down the doors, sending shattered glass everywhere, as the mob poured through the doors. One of the Walmart employees, Jdimytai Damour, was knocked over by the force, and a stampede of people began walking over him to get inside. Police officers attempted to resuscitate Jdimytai, but he was already dead. The police force said that despite examining the security camera footage, they could not pin down one individual who was responsible for his death. In 2011, many stores began starting their Black Friday sales on Thanksgiving night, in order to maximize their profits. The very next year, in 2012, 65-year-old Byron Smith had been burglarized more than once. Thieves stole thousands of dollars in cash, jewelry, guns, and a very sentimental watch that belonged to his father. On Thanksgiving night, Byron turned all the lights off in his house and moved his truck to make it appear as if he wasn’t home. He sat in his basement with a loaded gun. He even set up a tape recorder to capture any sound that was made during the night. He had a feeling that the holiday would tempt the thieves to strike again. Sure enough, 17 and 18-year-old cousins Nick Brady and Haile Kifer had finished eating Thanksgiving dinner with their family and decided to do their own version of Black Friday shopping to score some free stuff and holiday cash from Byron Smith’s home. Rather than calling the police to arrest the teenagers, he murdered them both, and on the recording, he talks to himself about what had just happened. “I refuse to live in fear. I am not a bleeding heart liberal. I felt like I was cleaning up a mess. A lot like spilled food. A lot like vomit . . . I was doing my civic duty. I had to do it. They weren’t human. I don’t see them as human. 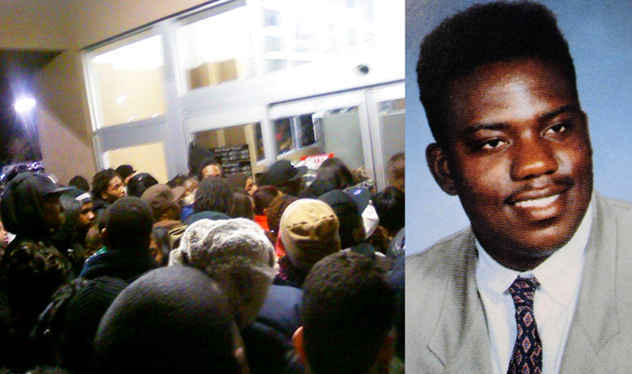 I see them as vermin.” He did not call the police until the next day, on Black Friday. Technically, the law states that in Minnesota, a homeowner can shoot and kill anyone who breaks into their house, but when the jury heard the recording of the incident, it was clear that this was a premeditated murder. Byron Smith was sentenced to life in prison. During Black Friday, Toys”R”Us is filled with exhausted and anxious parents trying to find the toys their children desperately want for Christmas. In Palm Desert, California, in 2008, two families with children got into an altercation. One woman punched the other and began beating her on the floor. The man who was with the woman who was getting beaten pulled out a gun to try to break up the fight. However, the man who was with the woman throwing all the punches pulled out a gun, too. Both of them stayed strapped to prepare for the Black Friday madness at the Toys”R”Us. 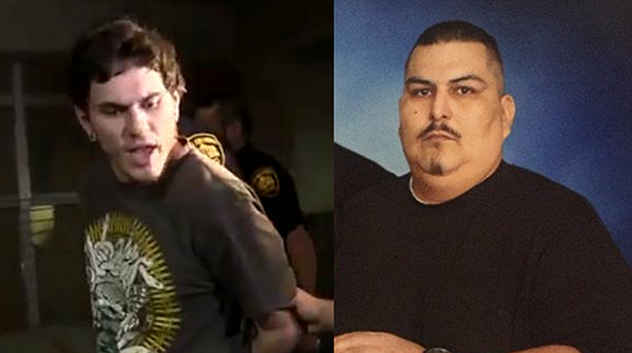 The men began to shoot at each other, and both of them ended up dead. The police did not want to release their names to the public. 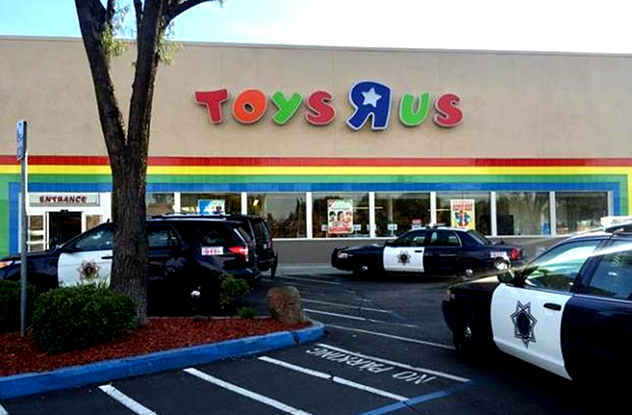 When Toys”R”Us made a statement to the press, they said that there was an ongoing police investigation, and they did not think the couples were fighting over a toy. However, the true motive for this Black Friday fiasco has never been released to the public. Twenty-two-year-old Nadia Ezaldein got a seasonal part-time job working at the River North Nordstrom in Chicago. Black Friday of 2014 also just so happened to be her birthday, but she had to work the long mandatory shift, while her family waited at home to throw her a surprise party. Nadia had broken up with her boyfriend, 31-year-old Marcus Dee, a few months before. According to his sister, he was madly in love with Nadia, saying she was his soul mate. He wrote poetry in his diary, and wrote about how great she was . . . and yet he beat her and abused her both physically and psychologically. So, when Nadia broke up with him, he stalked her, because he couldn’t let her go. He knew that Nadia would be working on Black Friday since all retail employees are typically forced to work the holiday. Marcus Dee showed up to her work and shot Nadia. She was brought to the hospital where she was declared brain dead. Her organs were harvested for donations before she passed away. The road rage on Black Friday is just as bad, if not worse than the angry and anxious shoppers that are inside of the stores. 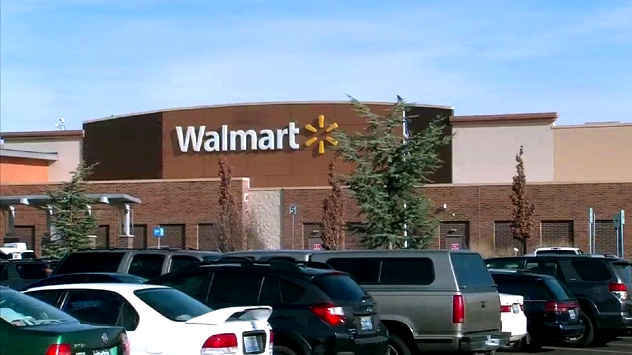 The Reno Walmart was one of the few retail shops that decided to open its doors to begin Black Friday sales on Thanksgiving night. By 6:00 p.m., the parking lot was already packed. Vehicles were circling the carpark, looking for an open spot. Thirty-three-year-old Matthew McGraw was driving through the lot when a car cut him off near the exit and parked. This made Matthew so angry that he parked his own car, grabbed a metal baton, and smashed the window of the car that cut him off while the driver was still inside. He began brutally beating the man with the metal rod. The driver grabbed his gun, which he kept in the car with him, and shot Matthew McGraw in self-defense. He died soon after. The name of the shooter was not given to the public. 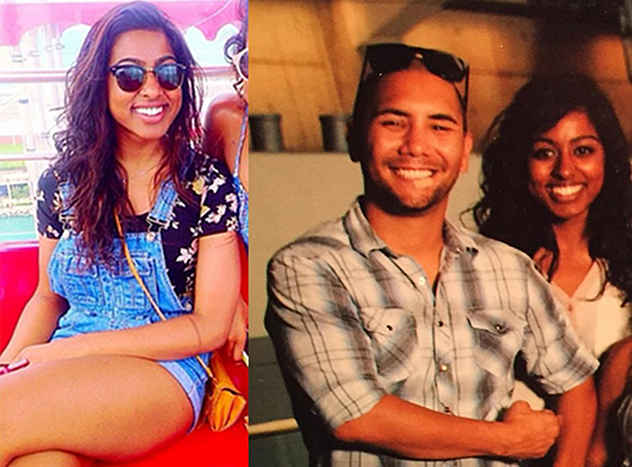 Carter Cervantez and Clarence Mallory were a young couple who had worked together at an American Eagle Outfitters in Dallas, Texas. They no longer worked at the store because they were both caught stealing, and they were promptly fired and reported to the police. Carter and Clarence knew that on Black Friday, American Eagle made thousands of dollars in sales. They also both knew where 31-year-old Ashlea Harris, their former assistant manager, lived. After a very long Black Friday, Ashlea was getting ready for bed when Carter and Clarence ambushed her and began taking out a lot of anger and aggression on their former boss. They taped her arms and legs, beat her, and set her on fire until she died. 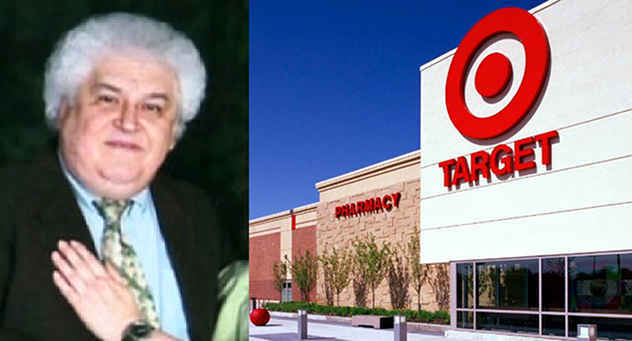 Then, they stole her keys to the store, where they planned to rob the cash registers of the estimated $50,000 in revenue that was made that day. 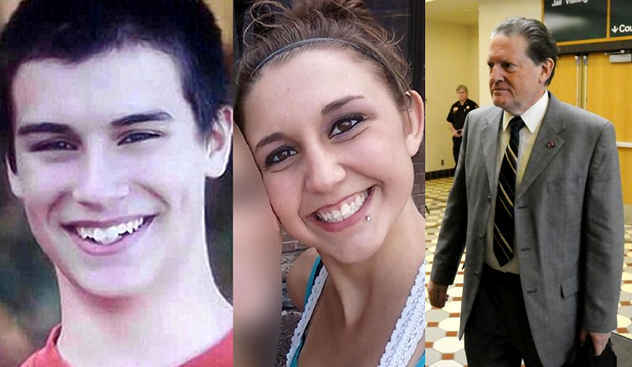 However, the couple was caught, and charged with Ashlea’s murder. Being a parent on Black Friday is tough. After hours of working hard to clean, cook, and entertain guests, it is exhausting to go out shopping immediately after Thanksgiving. But that is exactly what 48-year-old Arvind Tandel did on November 23, 2012. He was in the car with his wife and four young daughters, driving everyone home from Black Friday shopping at 6:30 in the morning in his Lexus SUV. Since all of his daughters were crammed together in the back seat that was only designed to fit two to three people, the two oldest girls—24-year-old Nisha and 20-year-old Sheetal—were not wearing seat belts. They gave them to their younger sisters. Arvind Tandel began nodding off, and he fell asleep at the wheel while driving on the highway. The SUV drifted over the white line. A police officer was pulled over with his lights on, trying to help another driver who got a flat tire. Since Arvind was nodding off, he never saw the flashing lights as he crashed into the back of the police cruiser. 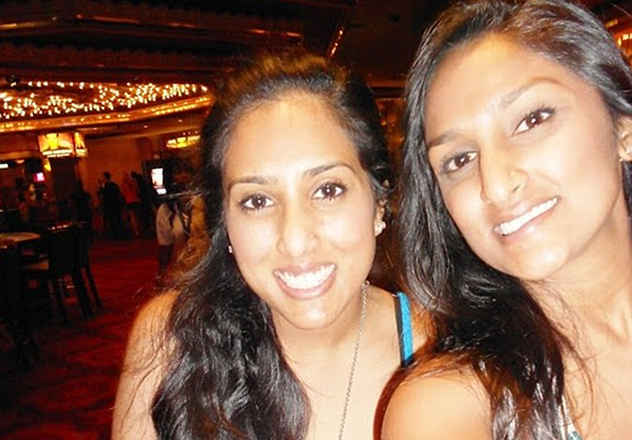 The SUV rolled several times, tossing Sheetal and Nisha’s bodies around violently. The law states that driving while being sleep deprived is equally as irresponsible as driving drunk, and Arvind was convicted of vehicular manslaughter. The Target store in Logan County, West Virginia, was buzzing with eager holiday shoppers on Black Friday of 2011. Walter Vance was 61 years old, and he was shopping for discounted Christmas decorations at 12:15 a.m. on Thanksgiving night—Black Friday had just barely begun. However, the stress of the shopping experience was too much for Walter to handle. He began to have a heart attack and fell to the floor. Shoppers were so eager to get their discounts that no one stopped to help him, and people simply stepped over his body. He was laying there for some time before an off-duty nurse who was shopping spotted him on the floor. She began to give him CPR, and they called an ambulance. However, by then, it was too late. His family was understandably furious about the way he died. If people cared more about their fellow humans than the sales, Walter might still be alive. It was 1:00 a.m. at the Hamilton Mall in Mays Landing, New Jersey, on Black Friday of 2016. The mall was still closed, except for a few department stores like Macy’s who had decided to open early on Thanksgiving night. The parking lot was already filled with shoppers. 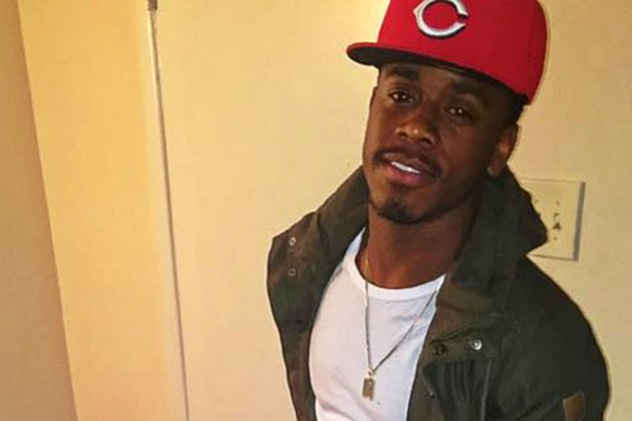 Twenty-one-year-old Demond Cottman was visiting the mall with his 26-year-old brother Shadi. Both of them began getting shot at while they were out in the parking lot. Shadi was shot in the leg and managed to survive the attack, but Demond was not so lucky, and he was killed. Witnesses ran away screaming, and 9-11 calls recorded the sounds of panicked shoppers in the background. Read more about holiday horrors on 10 Most Horrific Murders Committed On Halloween and 10 Most Shockingly Barbaric Holidays In History.